Celebrate Month of the Military Child with Stars and Stripes! We invite all military children to share their story with us and our faithful readers. We want to read about your experiences growing up with the military no matter how long or short it is. We just ask that you don’t include any personally identifiable information, only your first name and age. 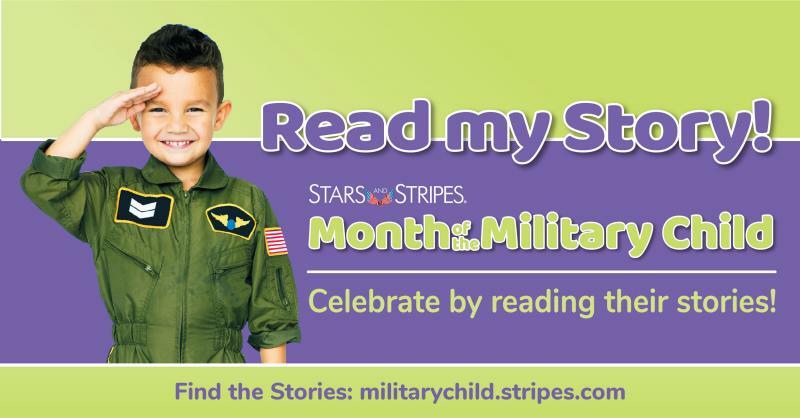 Now you can start to read all the stories submitted on militarychild.stripes.com through the end of April. You will be able to read your own stories and those from fellow military children. A select few will be printed in special inserts in the Stars and Stripes newspaper. There is still time to submit your story! Put pen to paper today and submit your stories to us. We can’t wait to read all about you! Calling all military children! What's your story?